Located less than a mile from the Albany International Airport, The Desmond Hotel is adjacent to premier shopping on Wolf Road and is minutes away from the city's business districts and downtown Albany. 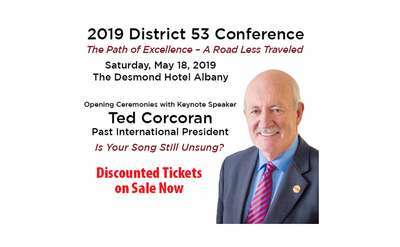 As Albany's premier hotel, The Desmond is a family owned and operated, IHG (InterContinental Hotesls Group) affiliate property that is proud to be celebrating our 45 years in 2019 of providing award-winning accommodations, outstanding service and a unique experience. As an IHG affiliate, guests of The Desmond can earn and redeem points within the world's largest hotel loyalty program-IHG Rewards Club. During your stay at The Desmond enjoy exceptional dining at Simpson's or The Tavern, along with complimentary Wi-Fi internet access, free parking and airport shuttle service, fitness center, indoor heated pool and 24-hour business center. Our guest rooms include 322 non-smoking guest rooms and suite options featuring four poster king beds and spiral staircase duplexes. Consistently voted the Best Local Hotel in Albany, we invite you to experience The Desmond.